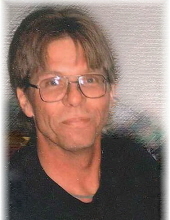 Richard A. Jarman, 58, of Grand Island passed away Monday, January 21, 2019 at CHI Health St. Francis Medical Center. Memorial service will be 10:30 AM, Friday at St. Mary’s Cathedral in Grand Island, NE with The Reverend James Janovec officiating. Richard was born to Dean and Lois (Riemers) Jarman at Grand Island, NE on January 30, 1960. He married Lynette Smith on January 28, 1983 at St. Paul, NE. To this union three children were born. He enjoyed hunting, fishing, being outdoors, and tearing things apart just to see if he could make it work. He enjoyed spending time with his kids and grandkids. Those left to cherish his memory include two daughters, Melanie and Alan Vanosdall of Scotia, NE, Rachael and Steve Kuszak of Central City, NE; son, Richard Jarman Jr. of Tecumseh, NE; three step-children, Rita, Alexandra, Alyshia; six grandchildren, Alexys, Akeyli, Gunnar, Natalie, Mckenzie, and Nevaeh; ten step-grandchildren, Doyln, Robert, Michael, Dakota, Cierra, Dayton, and Savannah, Phoenix, Bronx, and Kaiden; significant other, Doreen Crosby; two sisters, Deanna Hancock, Debbie Farrel; and numerous nieces and nephews. He was preceded in death by his parents; step-father, Bob Long; and brother, Terry Jarman. Memorials are suggested to the family to be designated at a later date. Online condolences may be directed to www.livson.com. Livingston-Sondermann Funeral Home is entrusted with arrangements. To send flowers or a remembrance gift to the family of Richard A. Jarman, please visit our Tribute Store. "Email Address" would like to share the life celebration of Richard A. Jarman. Click on the "link" to go to share a favorite memory or leave a condolence message for the family.